This is the introduction from seven books in a series that I have written reflecting on the rich tradition of the Church calendar year. 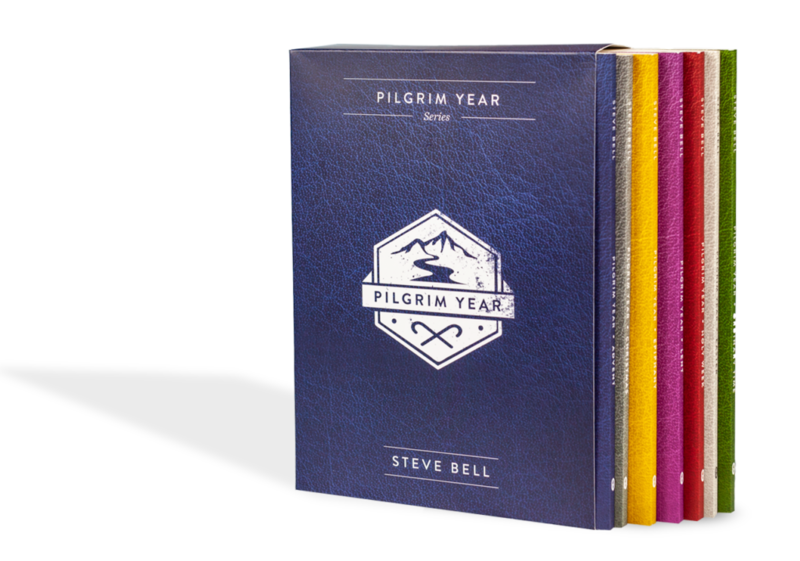 The entire collection includes brief volumes on the seasons of Advent, Christmas, Epiphany, Lent, Holy Week, Easter and Ordinary Time. Together, these recurring seasons, with their remembrances, fasts and feasts, retell and reharrow the living story of God and God’s good creation – a story that has been entrusted to the Church; a story that often runs as a counter-narrative to stories broadly told in the wider culture. We must not be naive about such things, for stories really do matter. They fashion a rich bed of receptive imagination from which all manner of possibilities are either opened up or closed down. Indeed, if one wants to know the cause of the inspiring and/or bewildering behaviours of any given individual or culture, one need only investigate the foundational stories they tell. Certainly, stories that tell of a random and meaningless universe will produce a different culture than stories of an enchanted, meaning-drenched cosmos. The radical capitalist story of human relationships necessarily playing out as a blood sport of self-interested individuals in a zero-sum game produces a different result than the story of a supra-abundant universe created in the image of the Triune God whose very being is one of dynamic relationality and mutual, self-donating love. Consider the stories behind popular reality shows such as The Apprentice and Survivor, where there is only one winner and many losers and in which every relationship is eventually sacrificed on the altar of self-interest. Compare them with the gospel stories, which tell of the God of creation emptying himself for the flourishing of all. One begins to grasp that such stories are so much more than pleasing fancies to while away our leisure hours. Some stories enrich and enliven. Some, quite frankly, are dangerous. The Church tells and retells her sacred stories year after year, much as a mother to her children who ask for the same stories night after night. And like any good child’s tale, they continue to reward well into adulthood. Each time we rehearse and reharrow these stories, we unearth something new precisely because there is so much more to receive, but also because our capacity to receive has deepened. We Christians are many things, but for sure we are keepers of The Story. We tend it like a fire in the darkest of nights, and we live by its blaze and glory during the day. We should not be scandalized if it sometimes harmonizes with stories from other cultures or faiths, because if indeed the world is “charged with the grandeur of God” which will “flame out like shining from shook foil” (as Gerard Manley Hopkins, one of our finer poets, has said), then we should be rather surprised if it didn’t. I have pilgrimed through these stories my entire life, and I feel like I am only starting to know them. But to the degree that I have absorbed them as a living tradition, they have fashioned in me a unified mind, body and soul capable of loving God and loving all that God loves. God is love. We have come from God and we are returning to God. All that is, is God’s good idea, bears God’s imprint and character, and radiates God’s life. We have been made for union with God and with each other. Humans, in particular, have been given the charge to steward creation and serve as its priest, gathering all creation in one voice in praise to the glory of our Maker. Though it is dimly perceived because of sinful self-will and self-orientation, we yet live in a meaning-drenched universe. Because we come from God and are returning to God, the Christian life is essentially a pilgrimage after the One who has both made a way and by whose light we can see the way.